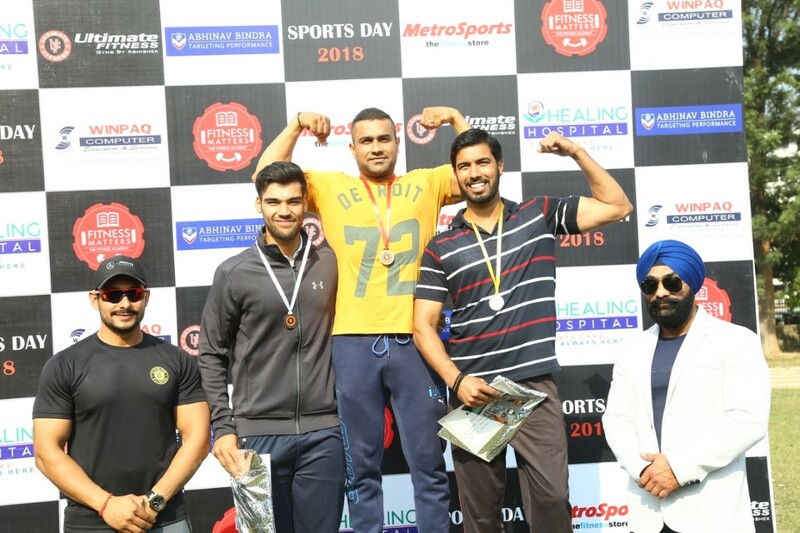 Sports Day of Ultimate Fitness held at Northridge School : Ultimate Fitness Gym celebrated its annual ‘Sports Day 2018’ here today at Northridge International School, Sector 46, Chandigarh with zeal and enthusiasm. 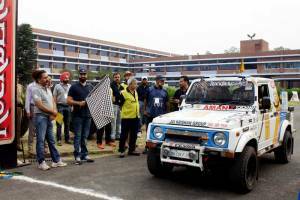 Chief guest was Mr Satya Pal Jain, Additional Solicitor General of India and former MP, Mr Hardeep Singh Buterla, president, Shiromani Akali Dal and former Deputy Mayor, MC Chandigarh was the guest of honour. The event was co-powered by Metro Sports (the fitness store). 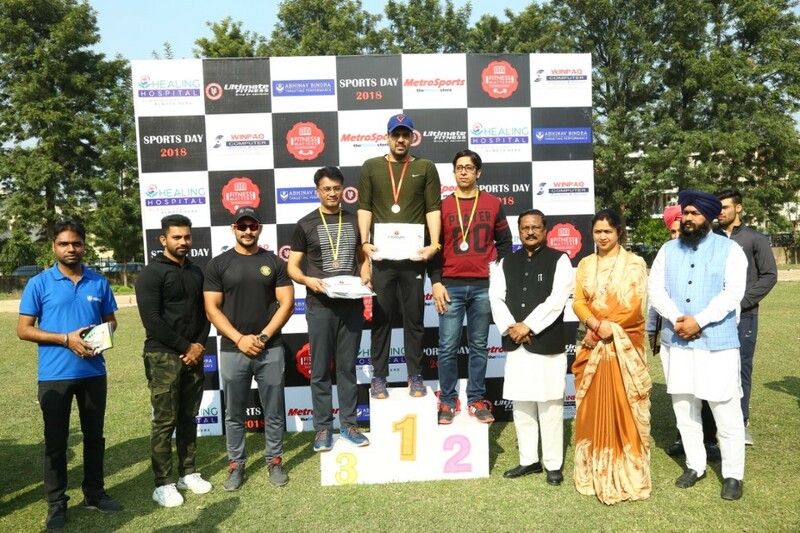 It had inter-branch competitions, where members from 5 branches of Ultimate Fitness participated in various contests. The competitions were divided in three categories, i.e. below 18 years, 18-35 years, 35 years and above. In the male category, there were 100 m and 400 m long jump, shot put, tyre flip and push ups. For the females, there were 100 m long jump, shot put and plank hold. The third category was for the trainers, which comprised 100 m x 4 relay race. Members winning Gold medal in any event were given complementary membership for a month. Winners of each event category were awarded with Gold, Silver and Bronze medals along with gifts. Similarly, a branch winning maximum number of medals was awarded with a Sports Trophy for 2018. Likewise, members winning maximum number of medals were awarded with Best Athlete Award and 3 months complementary membership. Prince Bhatia and Mr Chintu also attended the programme.